It’s always important to update your graphics driver to its latest version so as to get the most out of the graphics card (like improving screen resolution, reducing lag, preventing system crashes etc.). In this post, we’re going to show you 2 easy ways to get the latest Nvidia GeForce RTX 2080 Ti driver. Option 1 – Automatically (Recommended) – This is the quickest and easiest option. It’s all done with just a couple of mouse clicks. 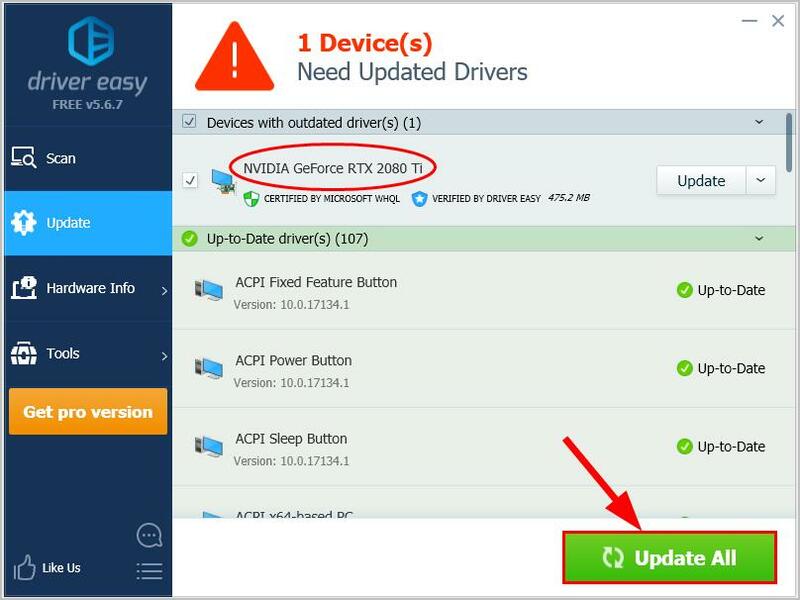 Nvidia keeps updating drivers. To get them, you need to go to Nvidia’s official website, find the drivers corresponding with your specific flavor of Windows version (for example, Windows 32 bit) and download the driver manually. WARNING: Downloading the wrong driver or installing it incorrectly will compromise your PC’s stability and even cause the whole system to crash. So please proceed at your own peril. Go to NVIDIA’s GeForce Driver Download. Under Manual Driver Search, select GeForce, GeForce RTX 20 Series, GeForce RTX 2080 Ti accordingly. In the 4th drop-down menu, select your variant of Windows operating system(Windows 10, 64-bit in my case). Then click START SEARCH. You’ll see a list of results pop up right under. 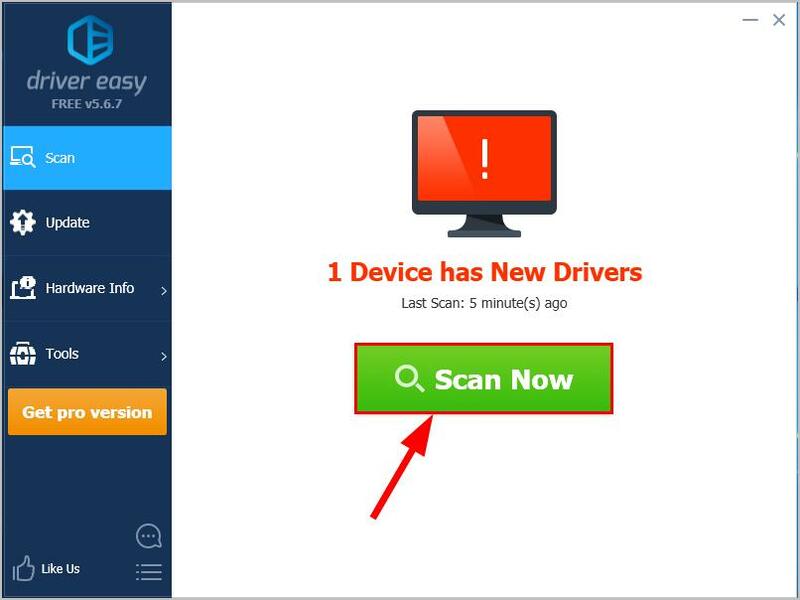 Click the first result to make sure you download the latest driver release. Restart your computer for the changes to take effect even if you’re not asked to.